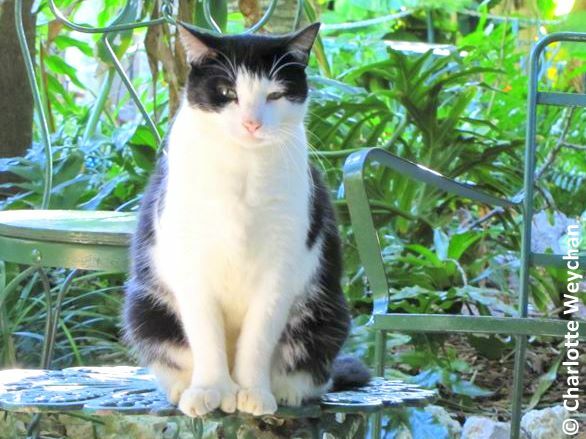 Best of Key West - Hemingway, Audubon and a few cats! No visit to Key West would be complete without a visit to Ernest Hemingway's home - to see where the legendary author lived with his famous six-toed cats. Just ninety miles from his other tropical home in Cuba (which I was lucky enough to visit in September) this wonderful villa is surrounded by a lush, tropical garden and is home to some 60 cats, some of which are direct descendants of those owned by Hemingway. The house is now a museum and its only full-time residents are the cats, who are provided for under the terms of Hemingway's will. I don't suggest you count this as a must see garden - it's certainly green and overflowing with tropical foliage (so is every other garden in Key West, which is part of its great charm) - but it's the house rather than the garden which draws the visitors and I too stood in line to satisfy my curiosity about Ernest Hemingway and the polydactyl cats. Hemingway lived and worked here from 1931-1961 and built the swimming pool - the first and largest in Key West; there are also some fine antiques and the house has now been designated a National Historic Landmark. 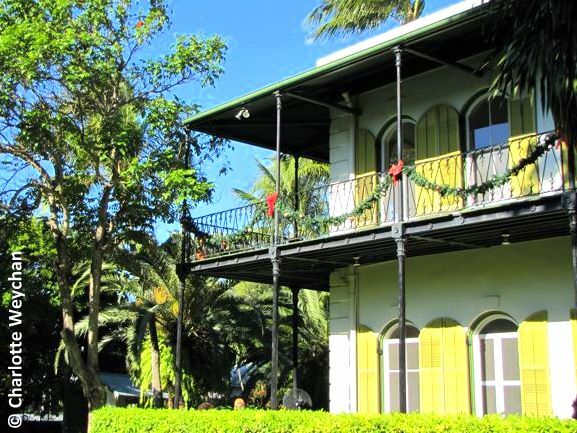 But just a few blocks away, The Audubon House and Tropical Garden is a must see. 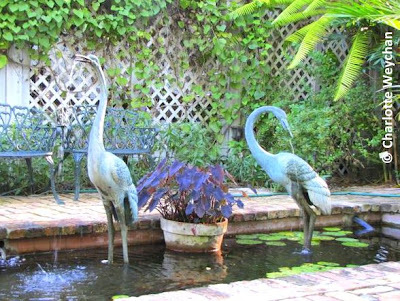 This charming house is set in an acre of immaculately-kept gardens and is filled with native plants and ornamental exotics. The house was built by Captain John Geiger, Key West's first harbor pilot and a master wrecker who also collected plants. Audubon visited Key West in 1832 and was introduced to Dr John Strobel who lived adjacent to Geiger and through this connection John James Audubon came to know the house and admire many of the exotic plants at the property, and use them in his paintings. 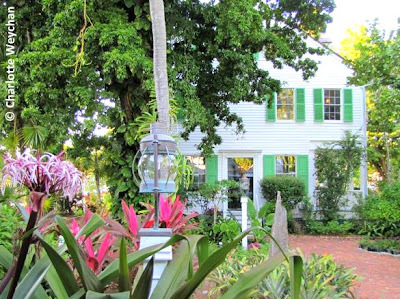 The house and garden fell into disrepair during the first half of the 20th century and were saved by local Key West residents - Colonel Mitchell Wolfson and his wife Frances - who decided to turn the property into a museum, housing both antiques typical of 19th century Key West and original engravings by Audubon. There are many of his original works on display in the house and it's definitely worth a visit, as is the charming garden. There's also a really excellent museum shop and print gallery selling limited edition Audubon prints. That is a well fed cat! Lucky to be provided for. I love the picture of the cranes in the pond. The Audubon House and gardens looks like a wonderful place to visit and be inspired by. Thank you again for sharing all of the lovely gardens that you visit, in words and pictures. So dear Charlotte, it didn't rain the whole time you were there. Hooray!! What a great piece of information to store away whenever I get to Key West. Love the photo used as your header. Do you think they worry about hurricanes in Key West at those historical homes? I love the cat stories and the area is just beautiful.